Russia and Syria blamed the Israeli military Monday for a missile strike on an air base near the Mediterranean coast that killed more than a dozen people. The base, known as Tiyas, was struck late Sunday by at least 20 Tomahawk cruise missiles. The government-controlled Syrian Arab News Agency said their direction of travel indicated they may have come from Israel. Eight of them were shot down. SANA also reported the United States was responsible for the airstrike, but Pentagon officials have denied it. 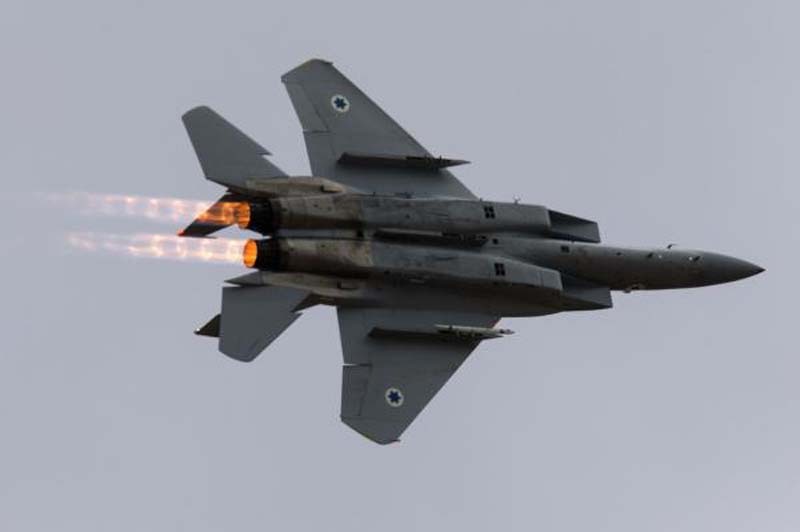 The Russian Defense Ministry said two Israeli F-15 fighter planes fired the missiles from Lebanese airspace, and that five of eight missiles were intercepted. The Israeli military did not initially confirm or deny information on the strikes. Israel has remained largely neutral in the Syria conflict -- as Syrian President Bashar al-Assad, with allies Russia, Iran and Lebanon's Hezbollah, have fought rebel factions backed by the United States. Tel Aviv, though, has concerns about Iran establishing military sites inside Syria that could be used to attack Israel. The Tiyas base is not known to contain chemical weapons, but Israel has accused Syria of allowing Iran to establish a base there to supply Hezbollah with weapons. "We have clear interests in Syria and we set red lines," Yoav Galant of Israel's security cabinet said after the attack. "We will not allow weapons to be transferred from Syria to Lebanon and we will not allow an Iranian entrenchment." The airstrike, which the Syrian Observatory for Human Rights said killed three Syrian commanders, came after reports Saturday of a chemical attack on civilians in the embattled city of Ghouta, a Damascus suburb. U.S. President Donald Trump said Syria would pay "a big price" for the chemical attack and said Assad should expect a "strong, joint response" with France. Trump and French President Emmanuel Macron are scheduled to meet in Washington on April 23. A year ago, Trump fired dozens of cruise missiles into the al-Shayrat airfield, near Homs, following a chemical attack that killed and injured hundreds of civilians.